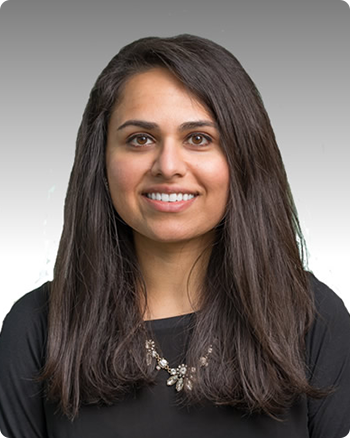 A graduate of the University of Wisconsin School of Medicine and Public Health, Dr. Rinjal Brahmbhatt is board certified in internal medicine and gastroenterology by the American Board of Internal Medicine. After earning her medical degree, Dr. Brahmbhatt completed her residency in Internal medicine at the University of Wisconsin Hospital and Clinics, followed by fellowship training in gastroenterology and hepatology at the University of Nebraska Medical Center, and advanced fellowship training in transplant hepatology at the University of Michigan Health System. Dr. Brahmbhatt joined North Shore Gastroenterology in 2017. Her areas of special interest include management of hepatobiliary (liver and bile) disease and hepatic (liver) disorders, inflammatory bowel disease (IBD), and colorectal cancer screening and detection. Dr. Brahmbhatt is an active member of various professional organizations including the American College of Gastroenterology, American College of Physicians, American Gastroenterological Association, American Association for the Study of Liver Diseases, Crohn’s and Colitis Foundation, and American Medical Association.